Sri. Chamarajendra park, also known as Cubbon park, is a park in the heart of Bangalore, India. This park has a history of over 100 years and has been of great significance to numerous walkers, joggers, stray dogs, birds, and it surrounds the State Legislature, Vidhana Soudha and the Karnataka High court. Also, there are numerous pigeons that thrive in this park. At any time of the day, one can witness the by passers enjoying the company of these pigeons, or taking pictures, or simply feeding them. 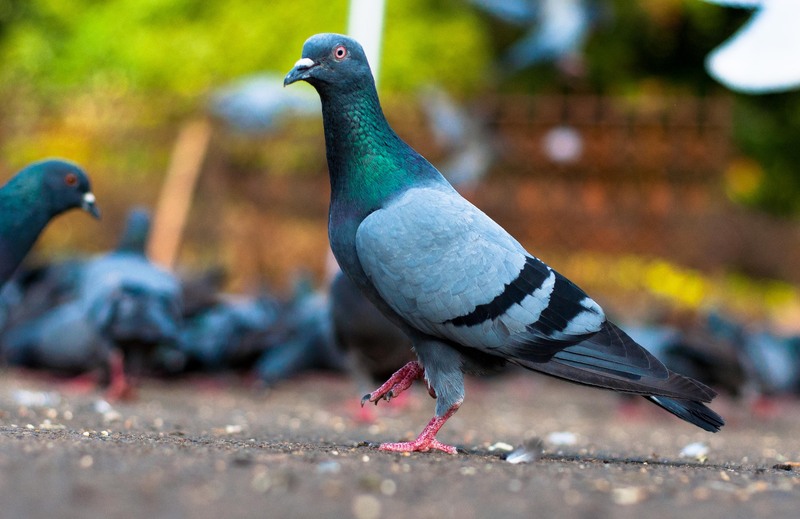 The pigeons here face constant threat from rodents and stray dogs. 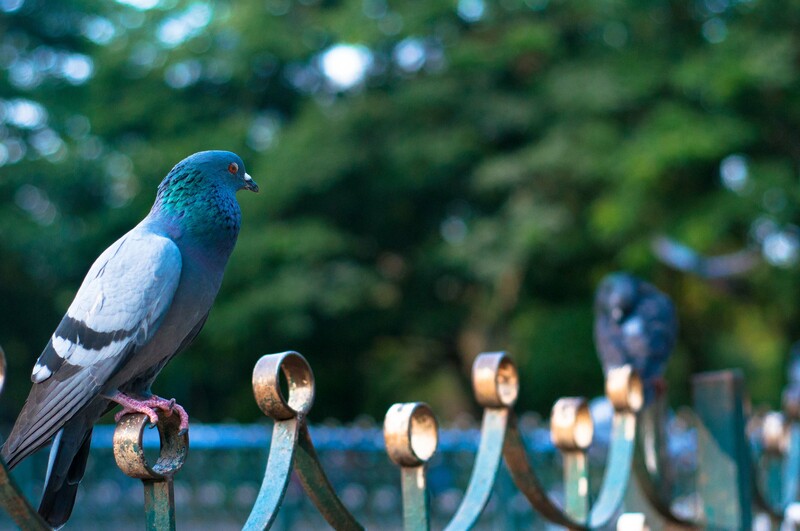 There are many pigeon deaths reported by the park officials each month. Also, these birds are threatened by insolent fools who pelt stones at them. I had been to the park today and was surprised to see so many daily walkers who feed these birds. 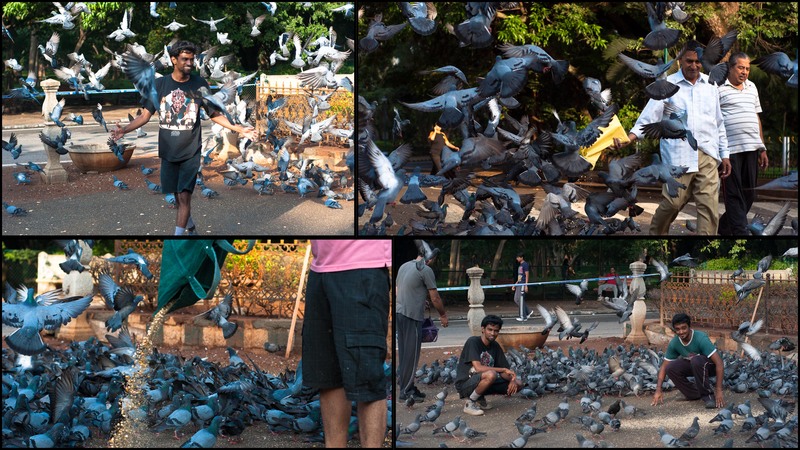 Some of them consider this as a good deed and feed the pigeons daily. For some, its a morning ritual. I saw one person offering a small prayer before he fed the birds. Their number has dwindled over the years, but Its nice to see that the people who use the park daily, try to protect these birds and make sure they are fed. Next time you visit the park, make sure you feed them some grains !